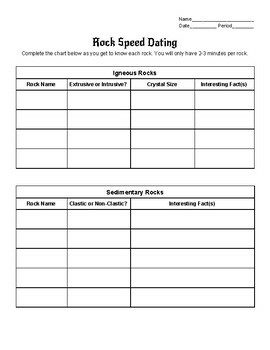 Students learn about rocks through a fun speed-dating style activity! 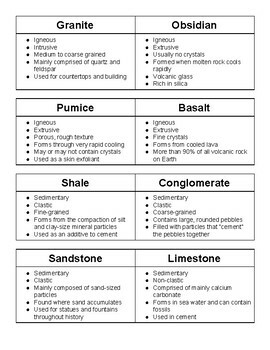 Set up samples of rocks around the room with included fact cards about each rock. 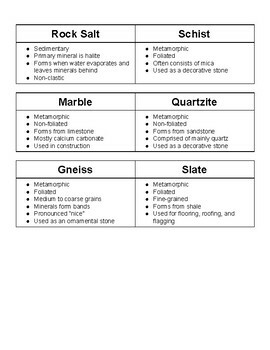 Students (in pairs or groups) have 2-3 minutes with each rock. They record on their sheets the information provided and move on to the next rock when the timer dings. It might also be fun to play light jazz just to set the mood! 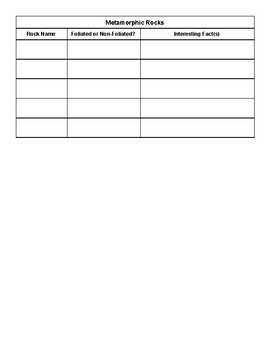 Middle school students will have a hoot with this!